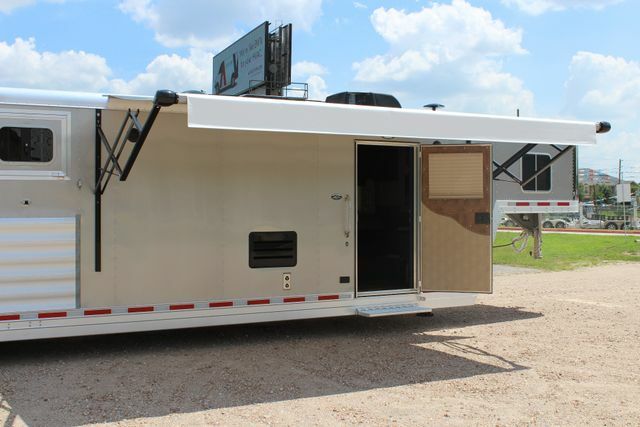 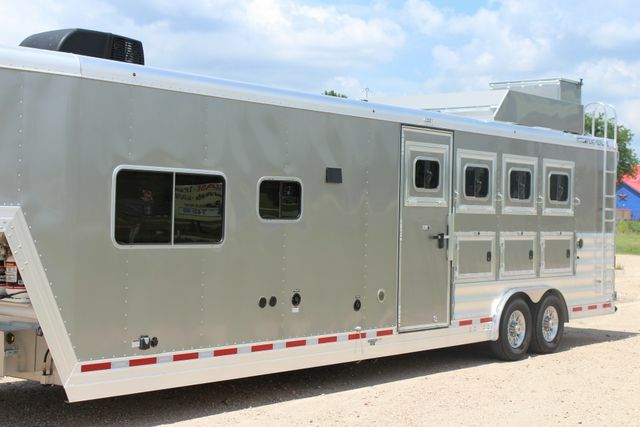 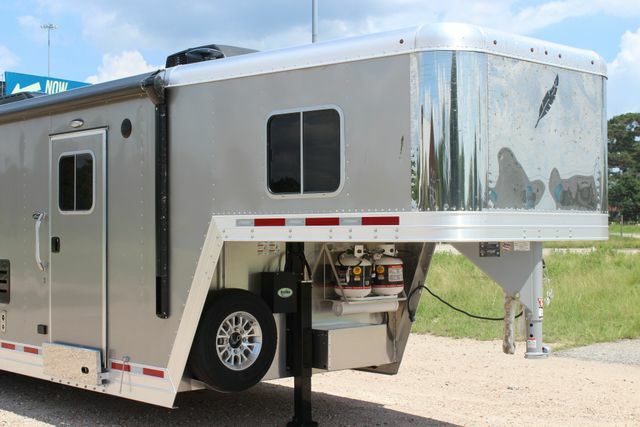 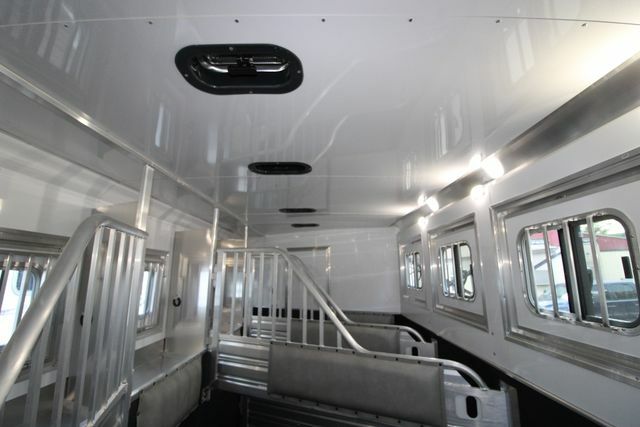 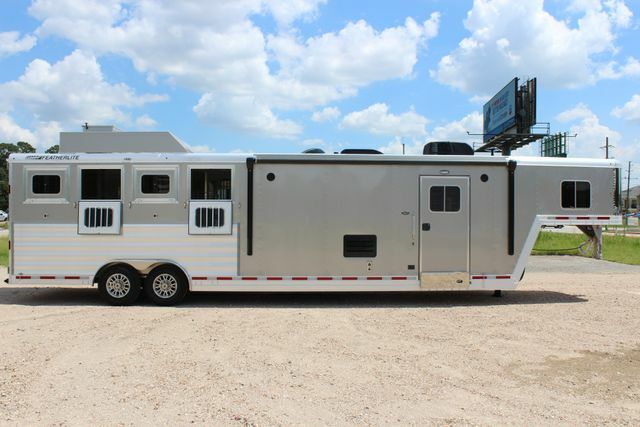 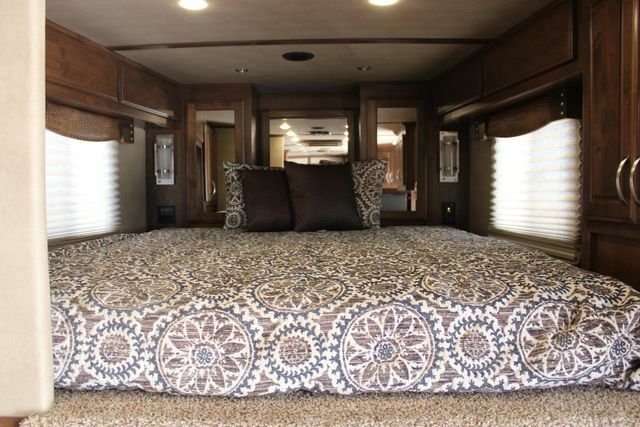 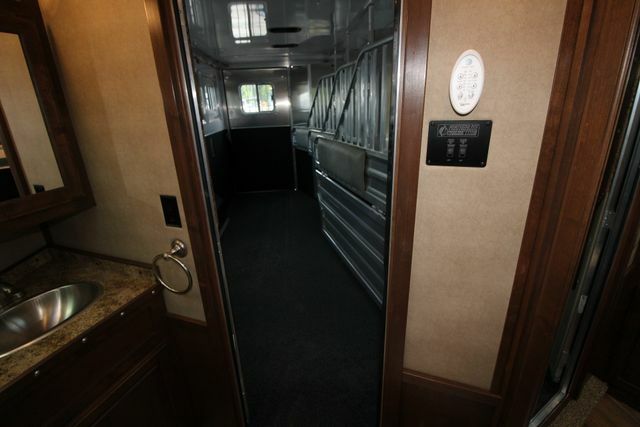 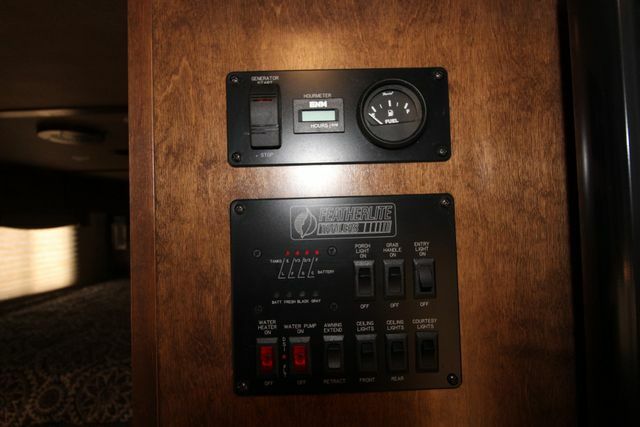 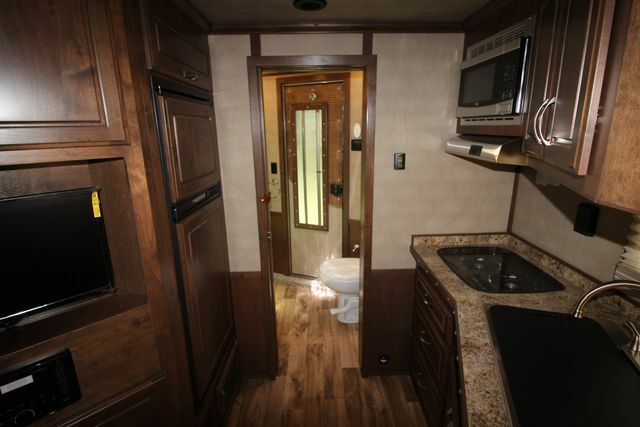 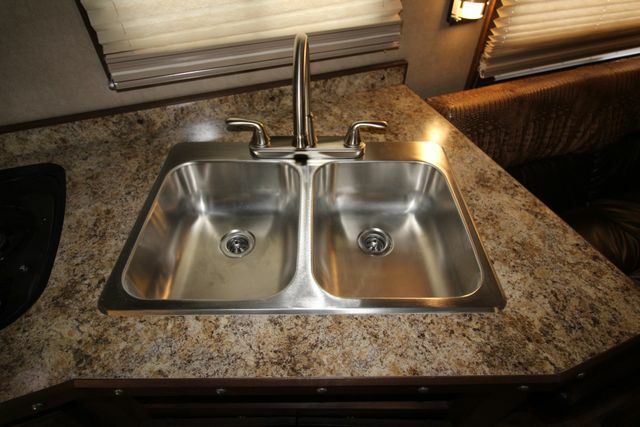 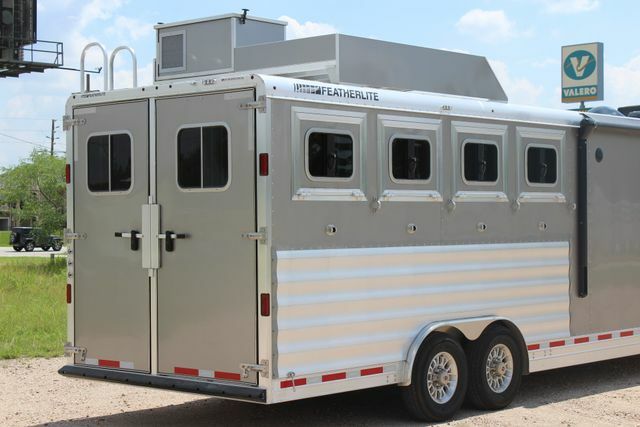 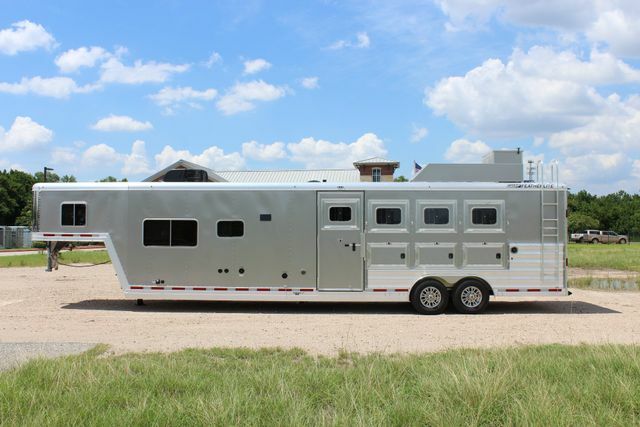 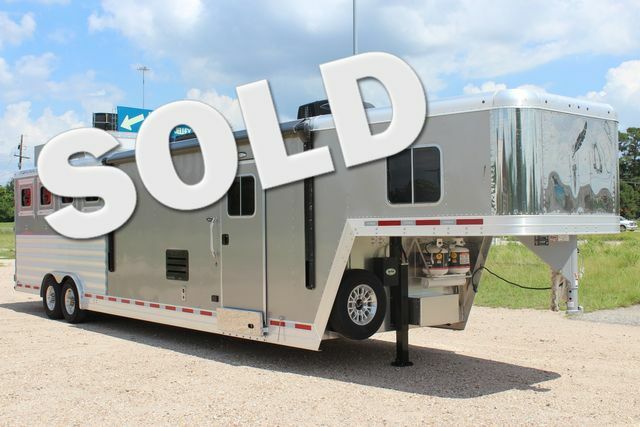 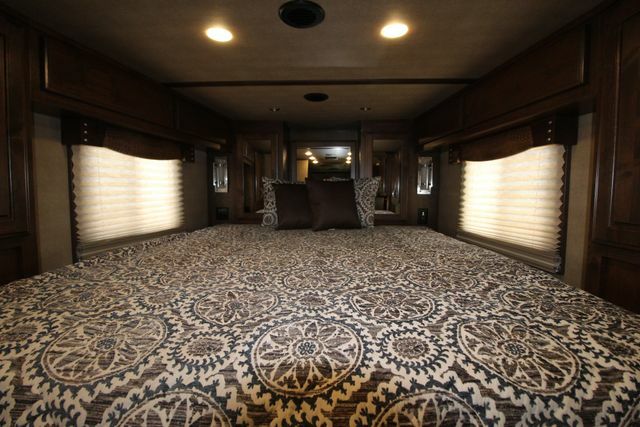 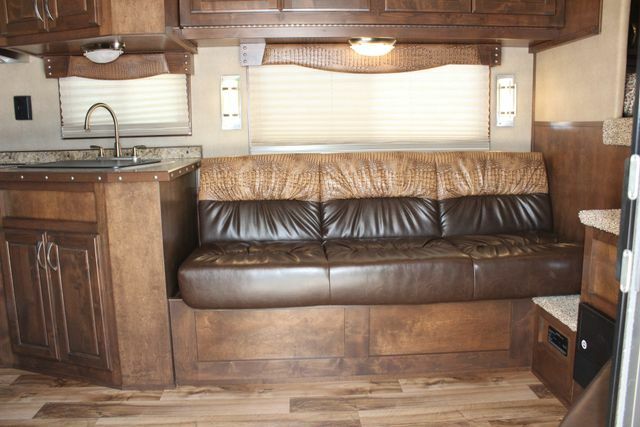 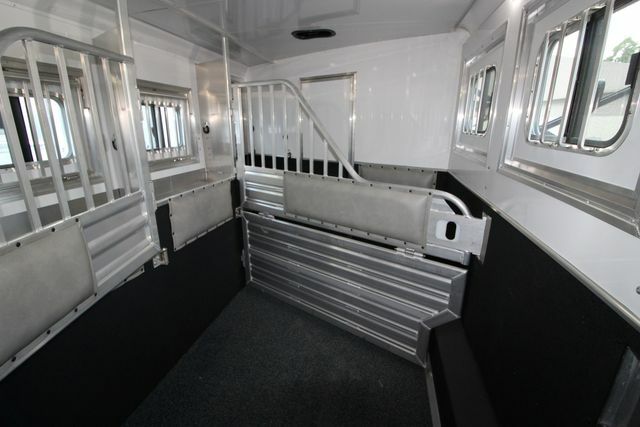 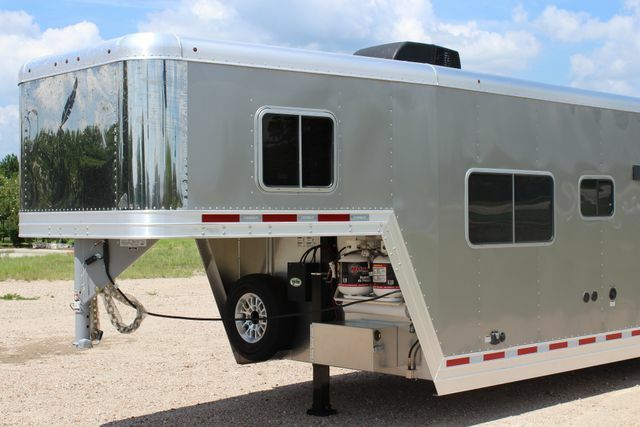 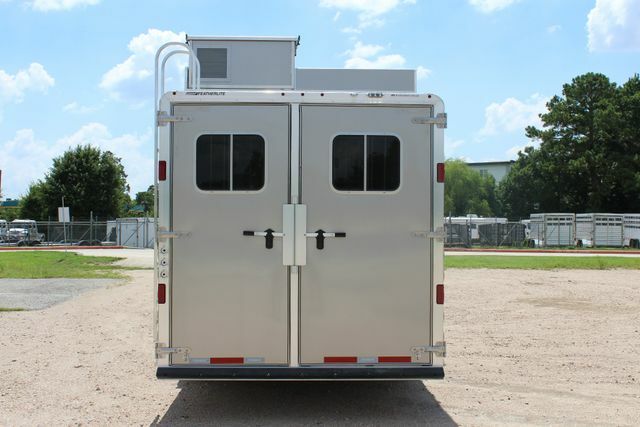 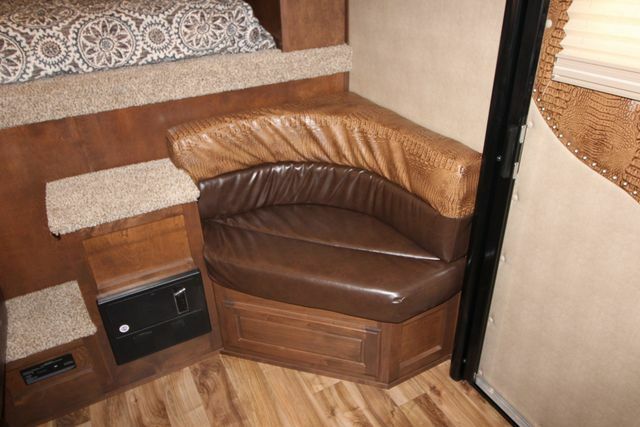 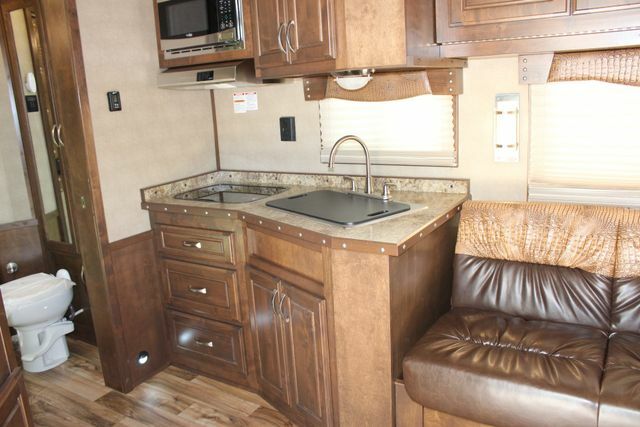 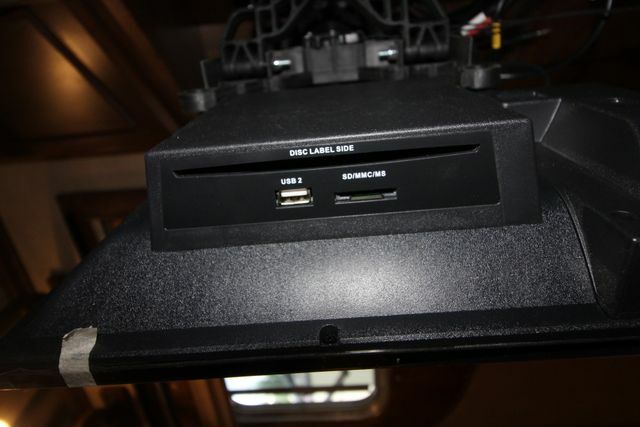 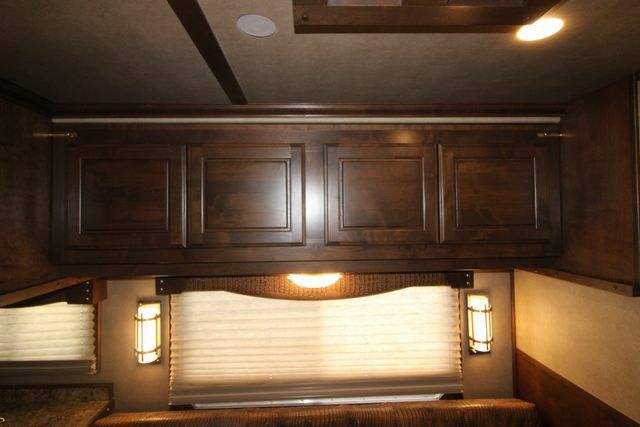 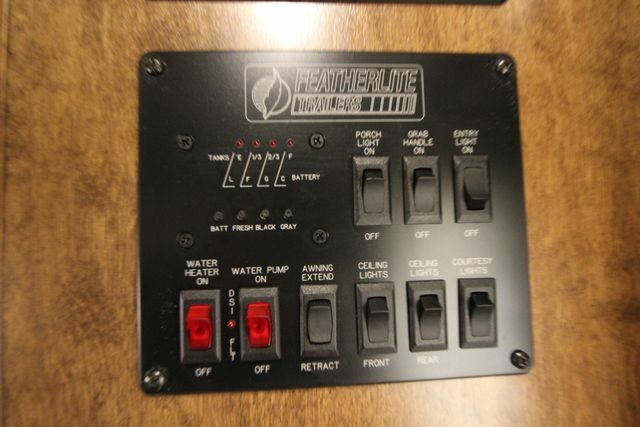 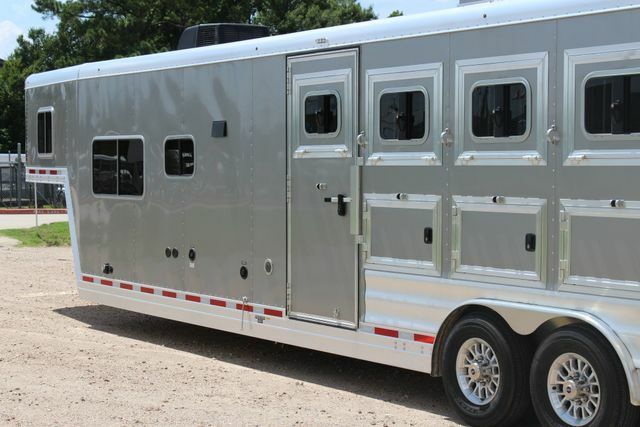 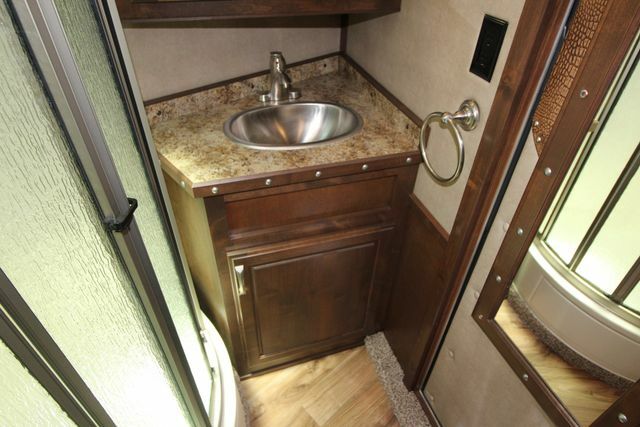 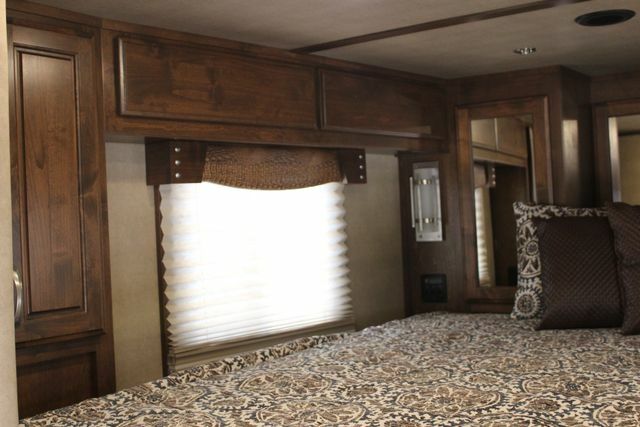 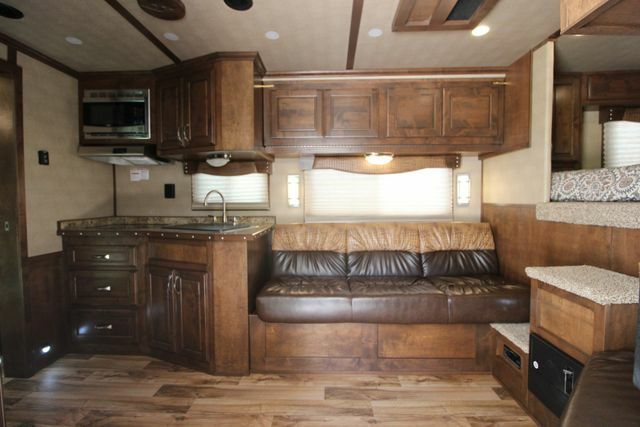 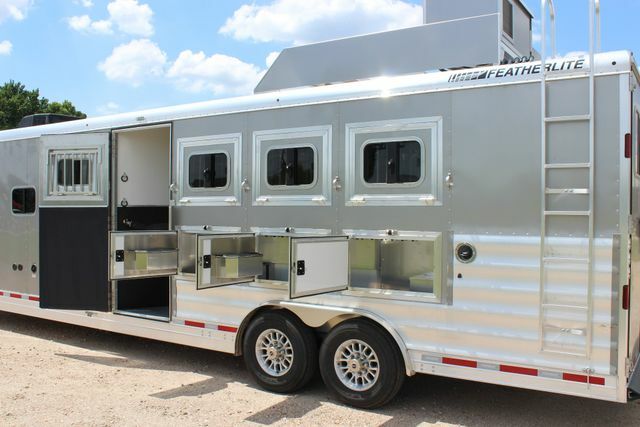 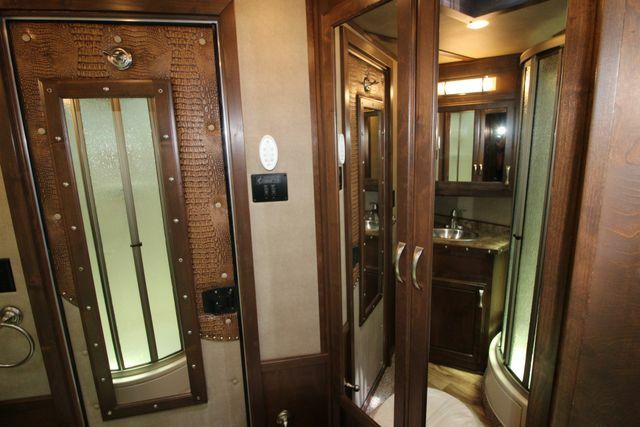 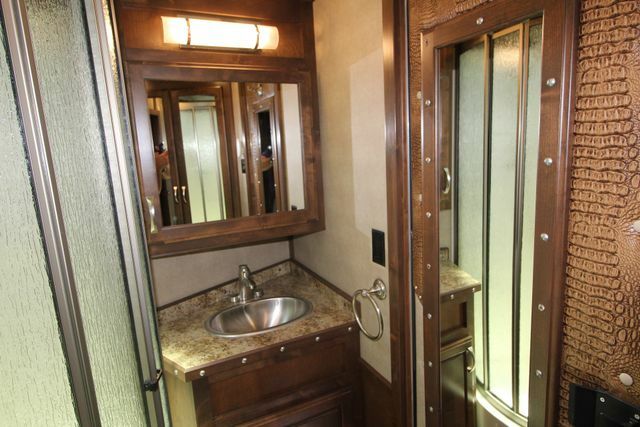 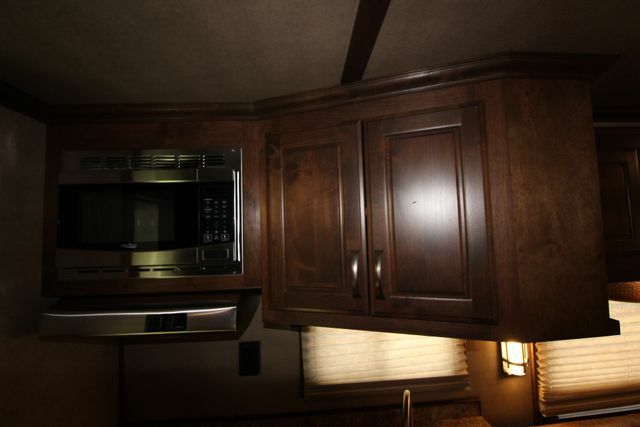 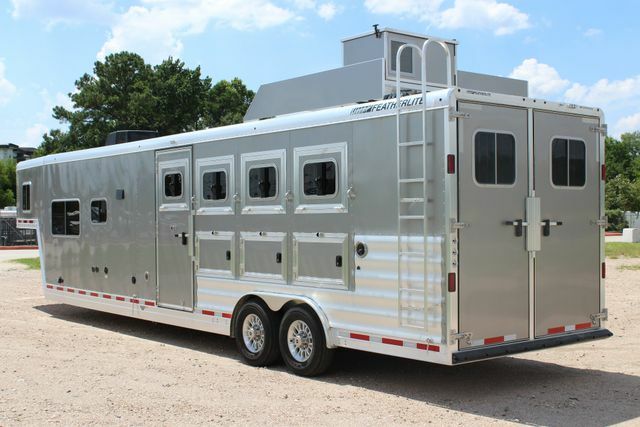 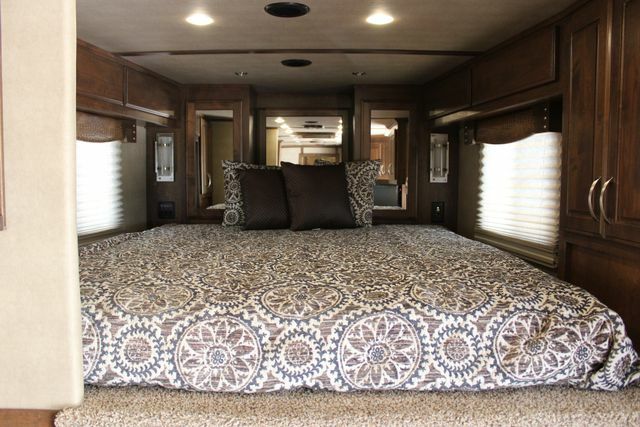 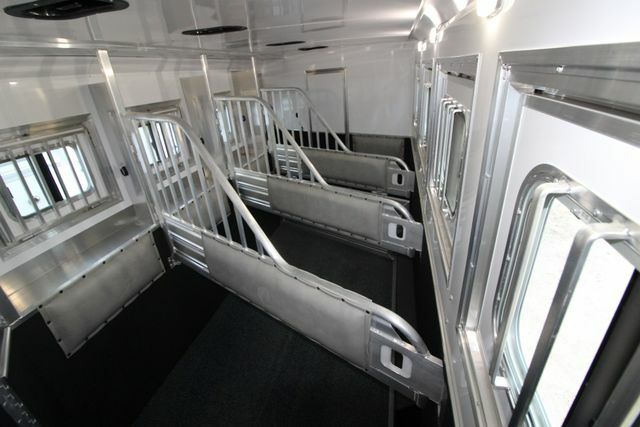 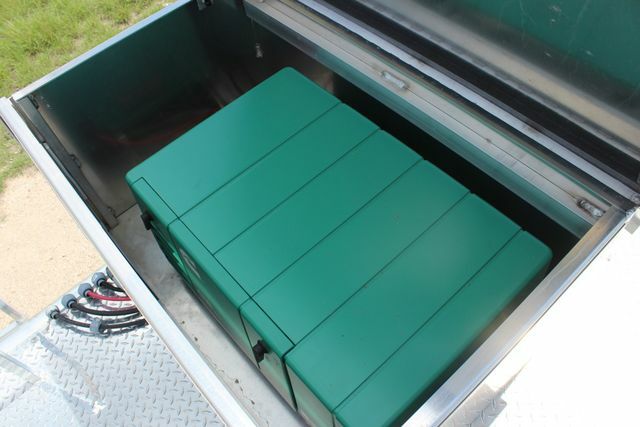 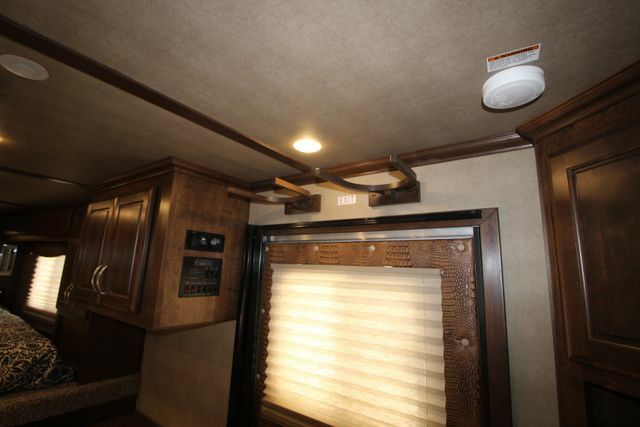 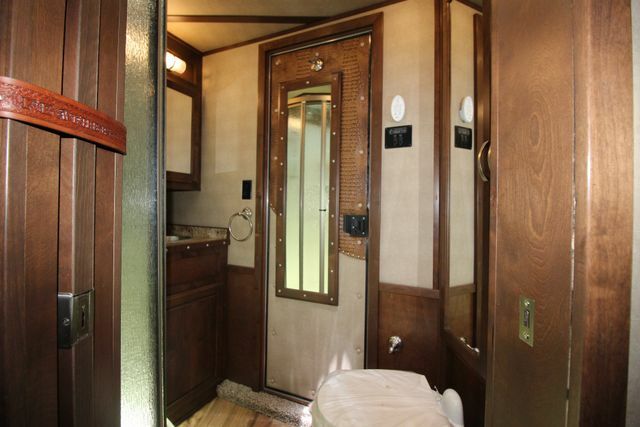 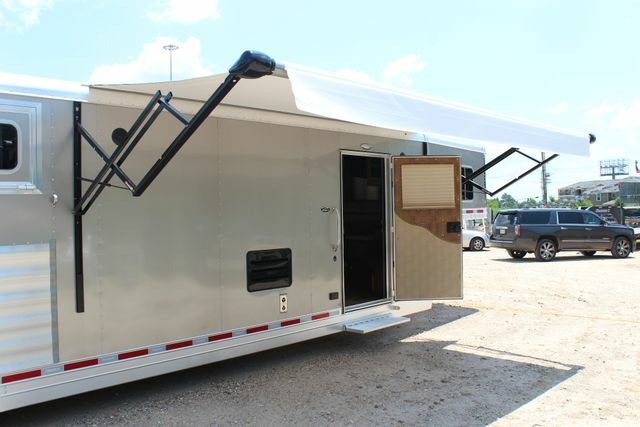 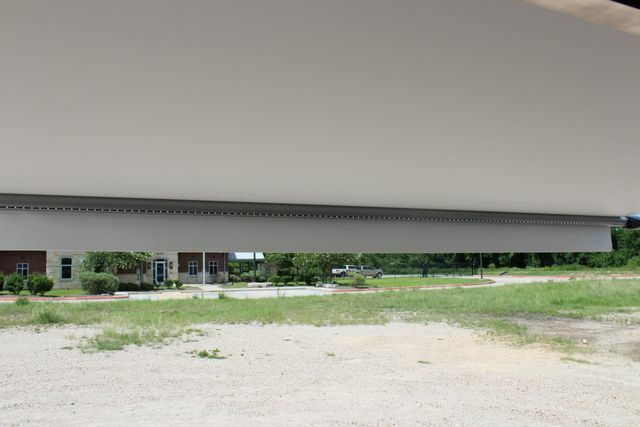 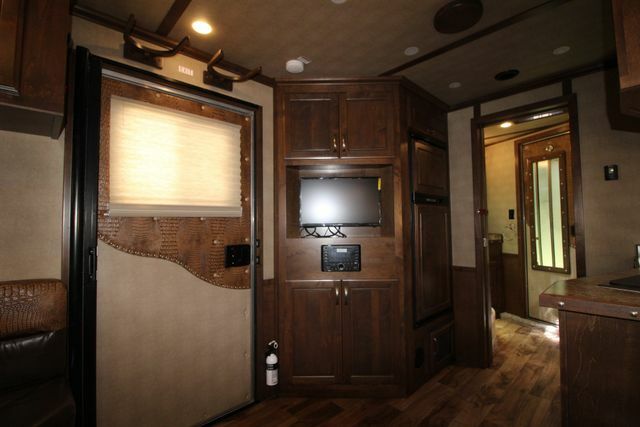 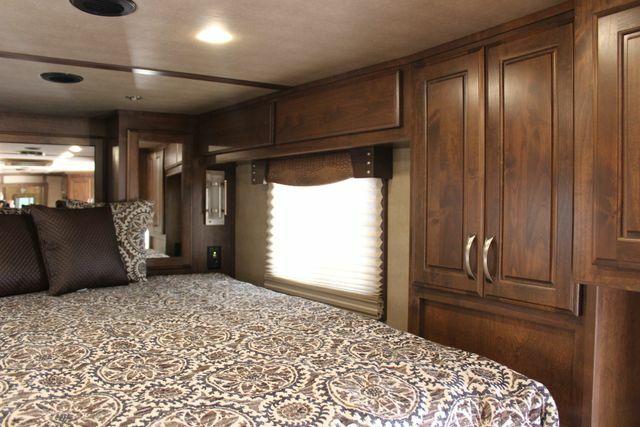 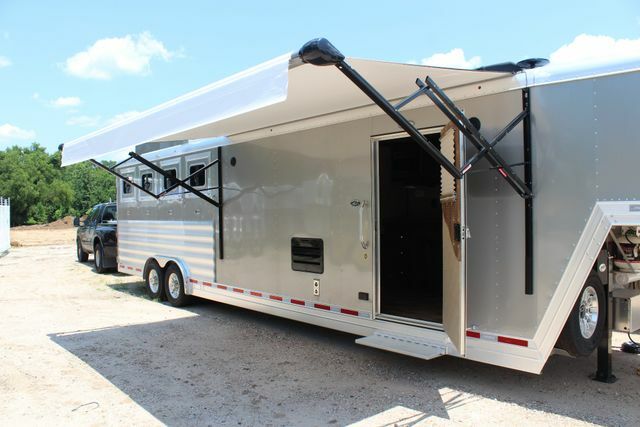 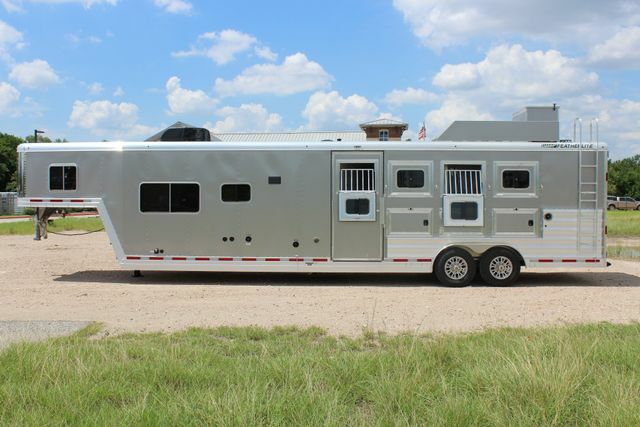 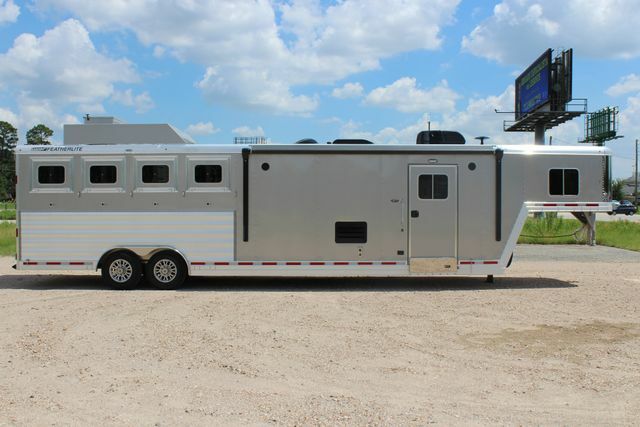 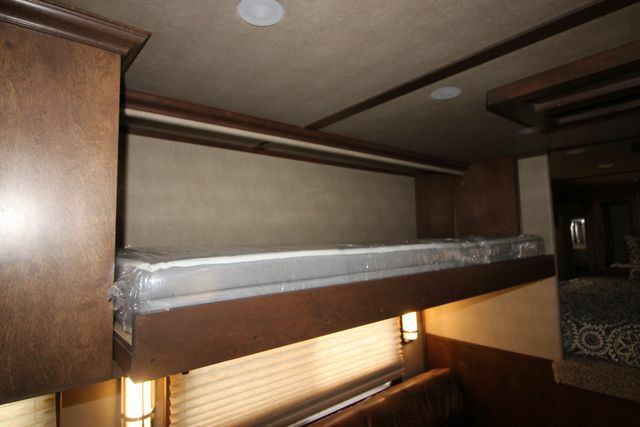 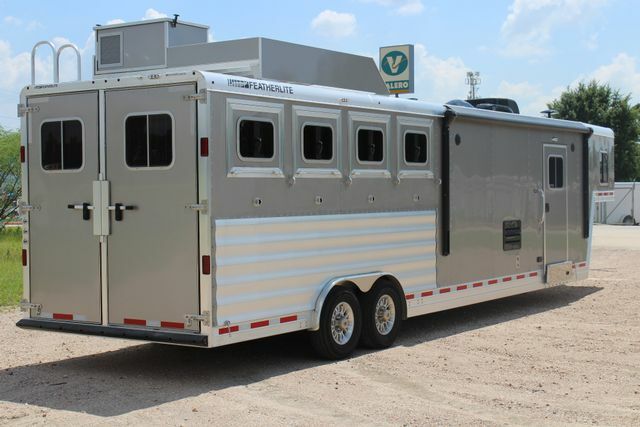 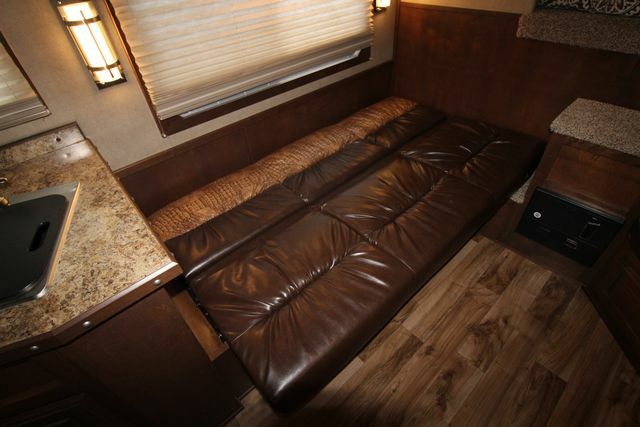 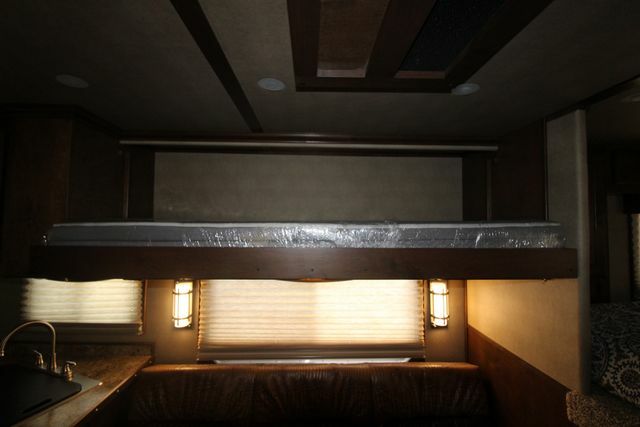 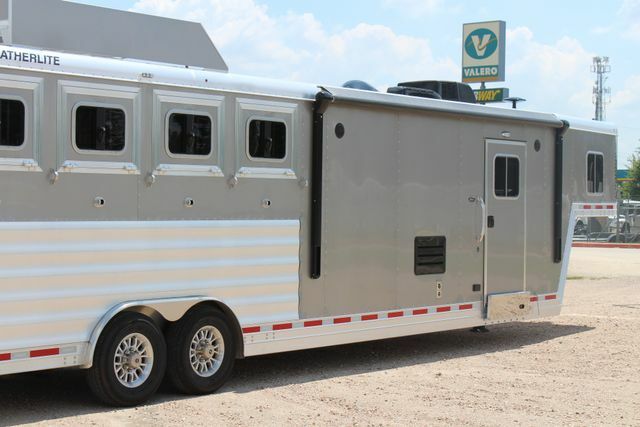 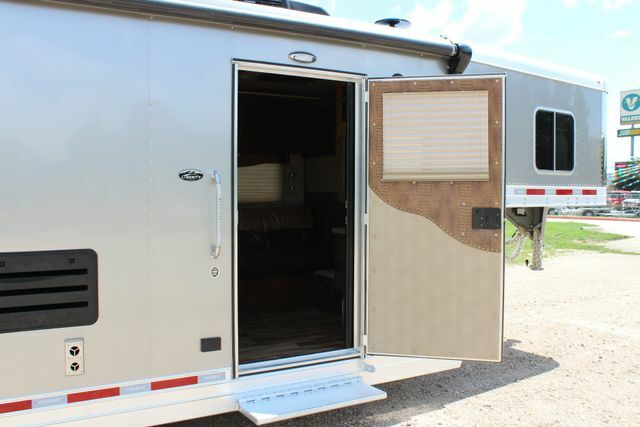 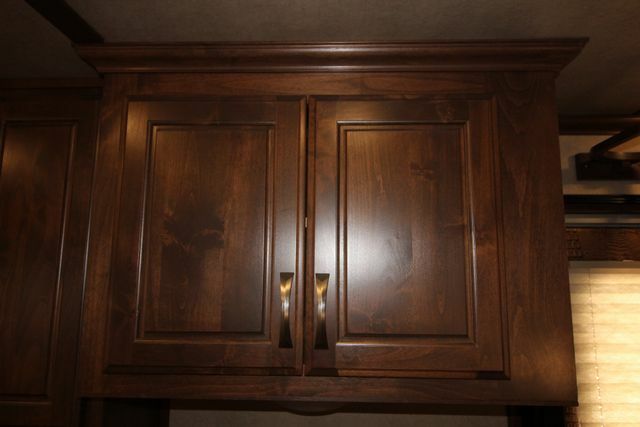 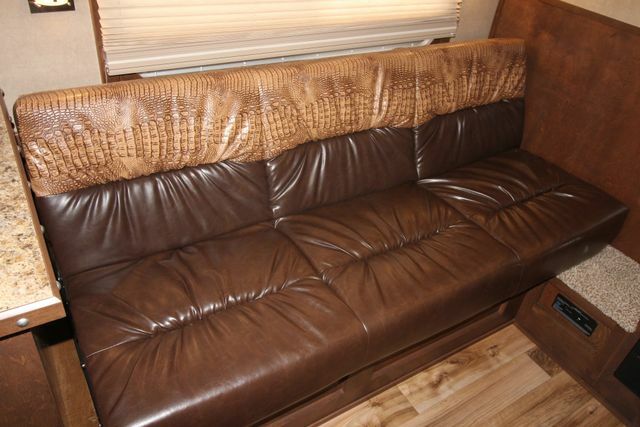 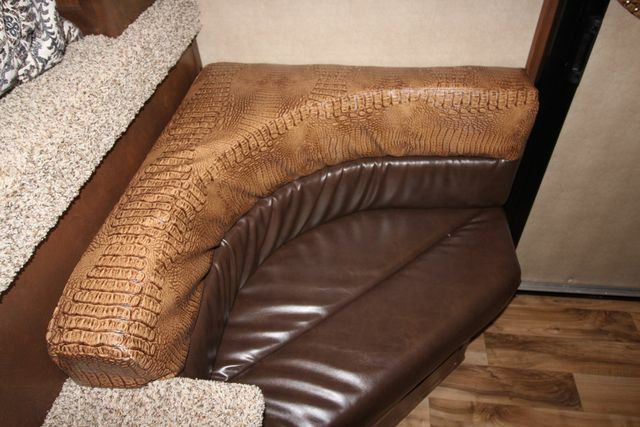 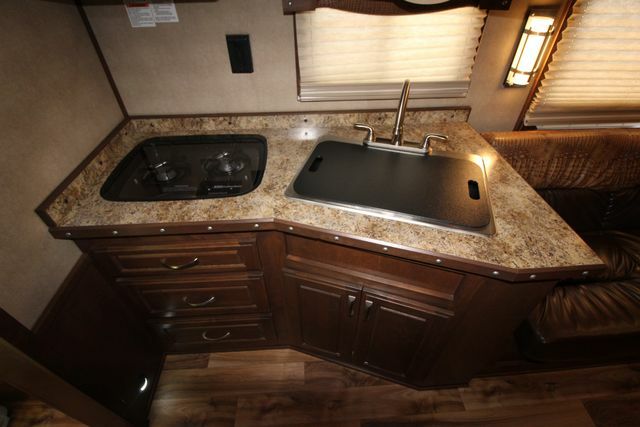 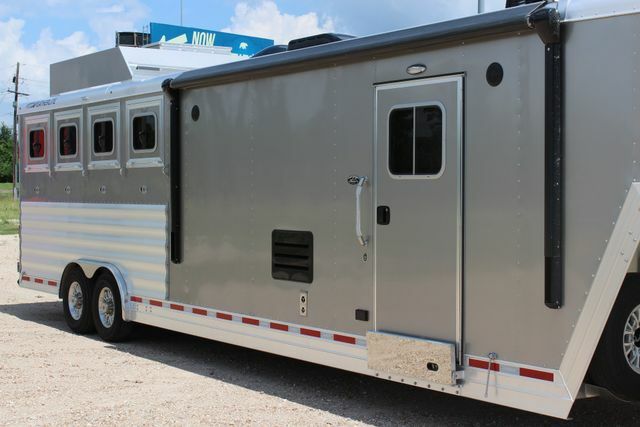 You are considering a brand new, unregistered 2018 FEATHERLITE 9821 Legend Edition Four Horse with 13' Liberty Living Quarters Aluminum Trailer. 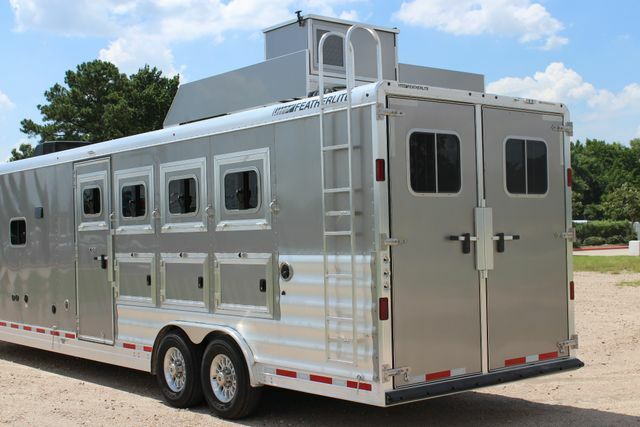 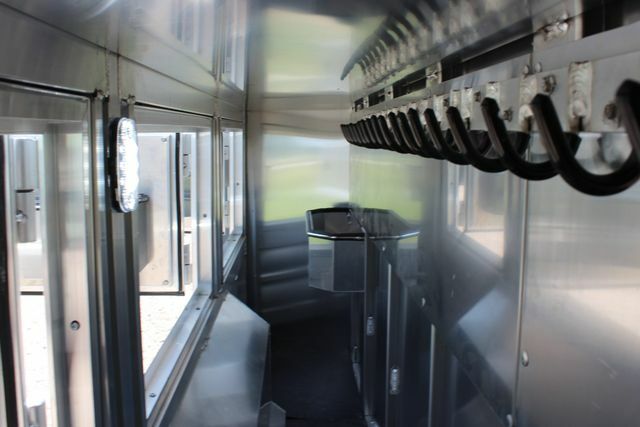 FEATHERLITE Installed Features & Options: 9821 Liberty 4 Horse - 13C, Legend Edition Package, Square-cornered windows, 7'6 interior height x 8' wide, Fourslant load horse stalls, All-aluminum construction, Polished ‘Wave’ side panels, Painted white .040 aluminum exterior sheets taped and riveted, Stainless tapered GN front & corners, Four LED wraparound tail lights, LED marker lights, 16" Aluminum wheels, Hydraulic Jack, Battery Package with two batteries and aluminum box enclosure, Roof mounted wrapped hay rack, 2” thick stall pads, "Air Flo" dividers, LED interior lighting, Two interior light switches in horse area, Aluminum halter hooks (removable), Removable aluminum stud divider, Interlocking smooth extruded aluminum floor, Easy Care Flooring Package - flow thru flooring in horse area, Double rear doors with pressure latches & locks, Side access/ escape door at 1st stall, Folding rear tack, Adjustable height saddle rack, Swing-out blanket bar, Two-way roof vents x4, Exterior horse tie rings four per side, 24" walk through aluminum door to LQ from horse area, Rubber up 48" on wall behind horses, Square cornered feed windows and doors (Legend Package), Curbside feed door package, Manger Package with halter hooks mounted in box with brush tray on manger door, LED load lights (each side & rear), Lined & insulated horse area ceiling, Dexter 7.0K Rubber Torsion Axles, Matching spare wheel and tire, Electric awning with LED light strip, 32" camper door with step below, Hide-a-screen roll-up screen door, Solid wood base cabinets, Solid wood raised panel cabinet doors, Upgrade decor package, Sconce interior lights, Decorative mirror, Decorative accents & trim, Decorative trim/ molding/ door casings throughout, Pleated shades on all windows, Day/ night shade upgrade package, Upgrade two-tone interior accent package, Soft touch walls & ceiling, Recessed LED ceiling lights & LED courtesy lights, Brushed nickel fixtures/ faucets/ hinges & hardware, Multifunctional digital thermostat, TV antenna wtih signal booster, Bluetooth enabled stereo (AM/ FM/ CD/ DVD), In & out stereo speakers, Jacknife fold down sofa bed, Fold out bunk over sofa, On-demand pressure water system, Direct spark 6 gallon water heater (gas), 50 gallon fresh water tank with monitoring system for gray & black water and battery, 45AMP power converter, 20k BTU ducted furnace, Upgraded 15k BTU ducted A/C with heat strip, Exterior water spigot, Sewer hose & holder storage, Exterior LED porch light & lighted grab handle, 110V exterior receptacle & 120V 30amp shoreline, 20lbs LP tanks with regulator x2, CO2/ LP/ smoke detectors, Exterior satellite input, LED reading lights at head of bed, Insulated/ carpeted bunk area floor, Shirt closet & overhead cabinets in bunk area, 12V plug with USB charger in bunk area, Upgraded front wardrobe with two side cabinets & mirrored center area, Two wooden hat racks above door, 24" TV with built in DVD, Drawers & cabinets under kitchen counter, Stainless steel double sink, Sink cover/ cutting board, Recessed stove with lid & lighted range hood, Stainless steel appliance upgrade, Mircrowave, Refridgerator with raised panel door upgrade, Upgraded glass tile backsplash, Slide in pocket door to bathroom, Bathroom sink with medicine cabinet & vanity light, Linen closet with mirrored doors, Radius shower door with domed skylight, Upgrade to marble colored shower, Porcelain toilet (foot flush), Upgraded Power lift roof vent with Fantastic Fan roof vent, Generator Box (Inside Hayrack) - color to match exterior sheets, 4k Onan gas generator, Wave Exterior Horse Panels, and more. 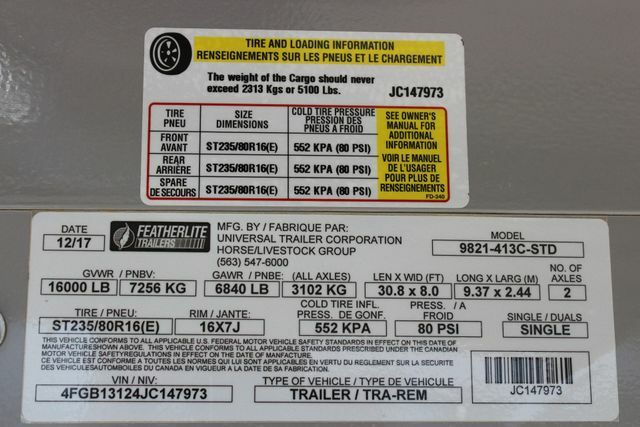 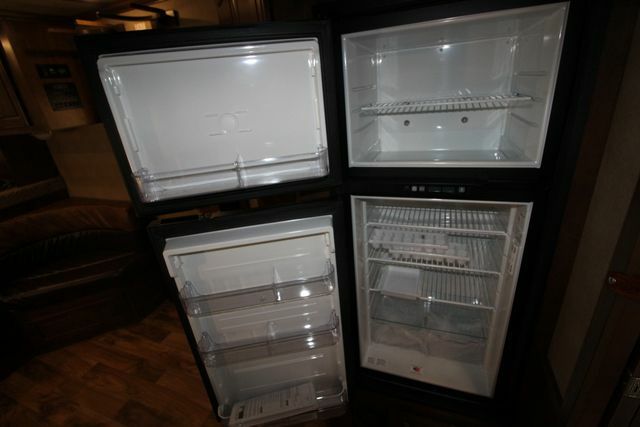 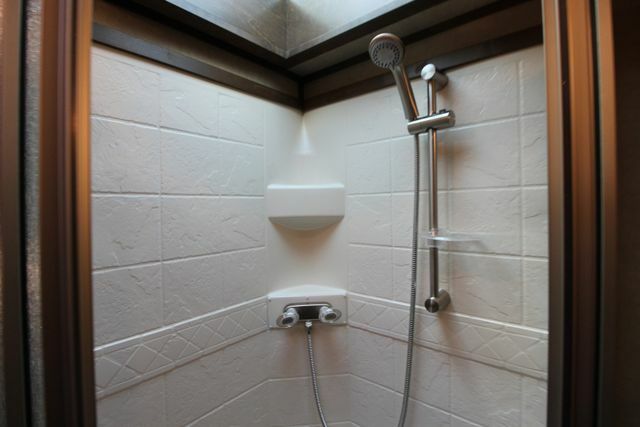 Please call to clarify and verify the features & included options! 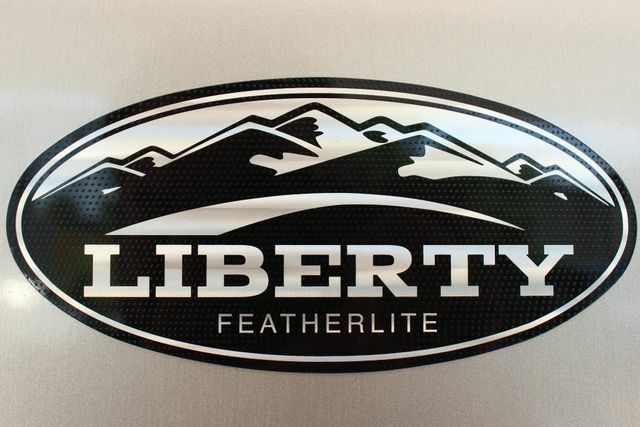 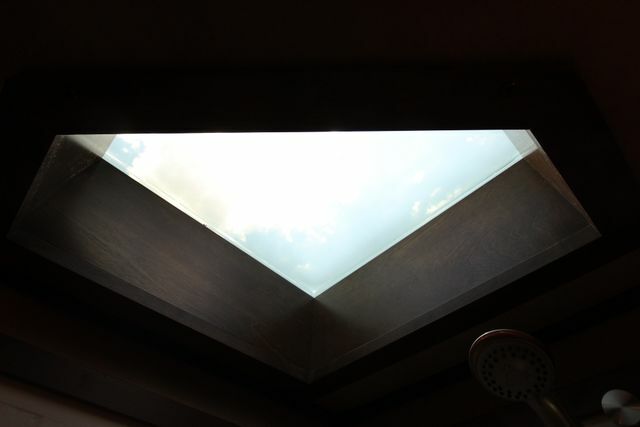 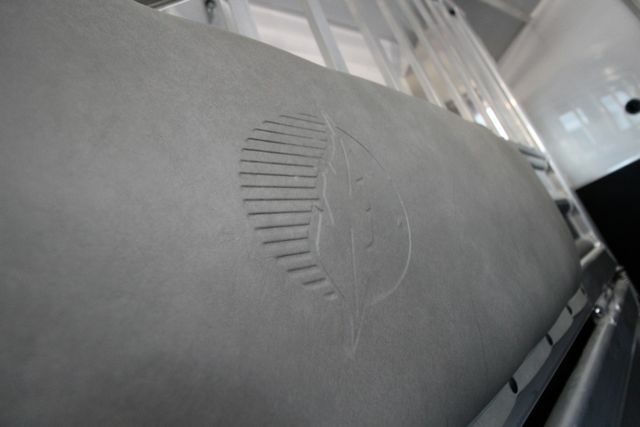 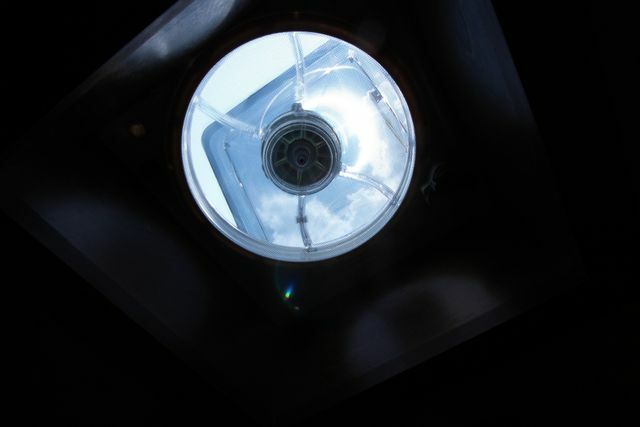 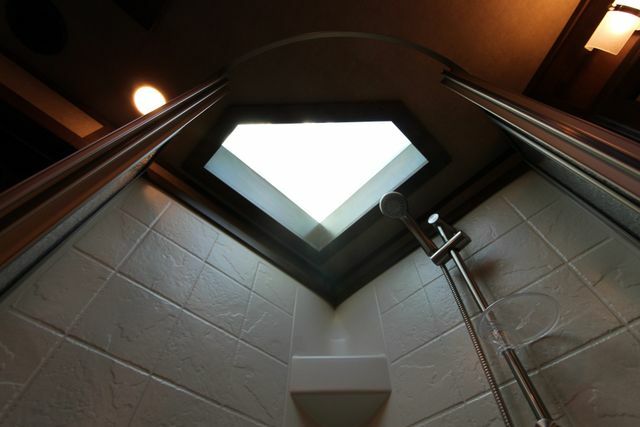 FEATHERLITE Installed Features & Options: Information coming soon.